Meteorology, Irrigation, Ripening of Fruits, Soil Nutrition, etc. Weather Data Monitoring, Water Potential, Nutritional Data, Fruit growth and ripening, elaboration of Indexes and Models. Operative, Predictive and Prescriptive Analysis. 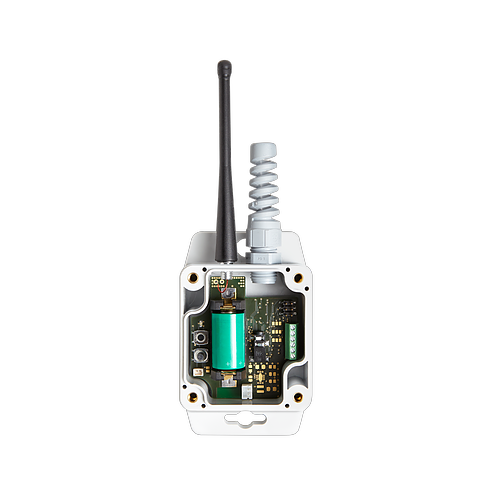 Smart Sensors Grid, Communication Networks (WAN, LpWAN, WiFi, etc. ), Internet of Things, Services and Cloud Platform, Web and Mobile apps. Analysis and Data Analytics. Specialized agronomic consulting for different crops (grapewine, peach tree, plum tree, walnut, tomato, etc.). Automatic survey and analysis of weather data: air temperature and humidity, ground temperature and humidity, rainfalls. Monitoring of specific thresholds and alarms activation. Automatic survey of Water Potential ( the capacity of the plant to absorb water from the ground) at different depths. Monitoring, thresholds personalized configuration and alarms activation. Automatic survey of air and ground temperature at different levels of depth. Monitoring, personalized configuration of related thresholds and alarms activation. 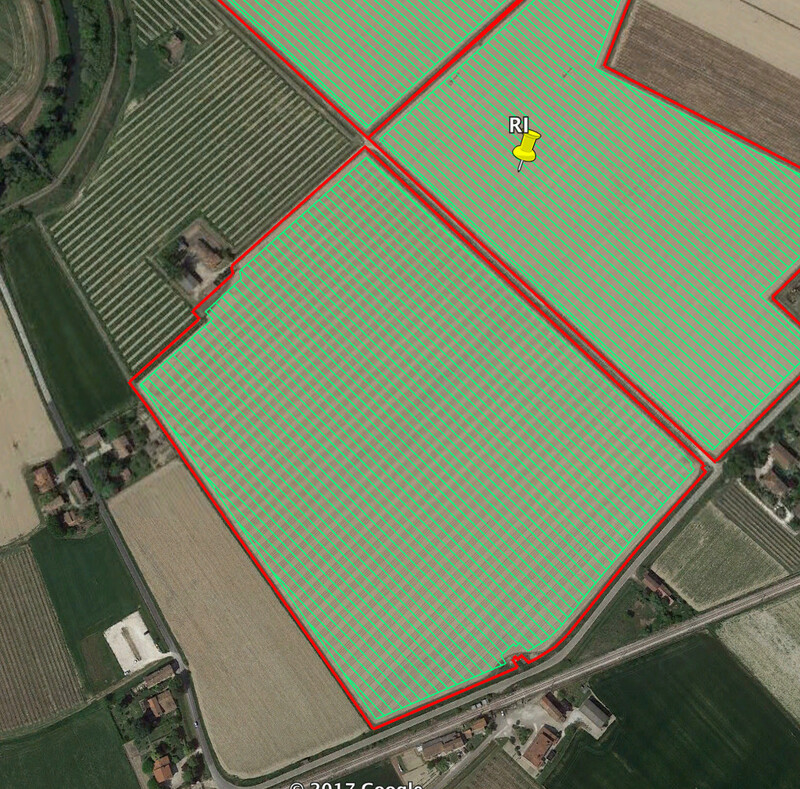 Automatic survey and analysis of related data to ground salinity. Specific thresholds monitoring, related alarms preparation and activation. Automatic monitoring of fruits growth through specific devices mounted on the plant. Growth analysis. 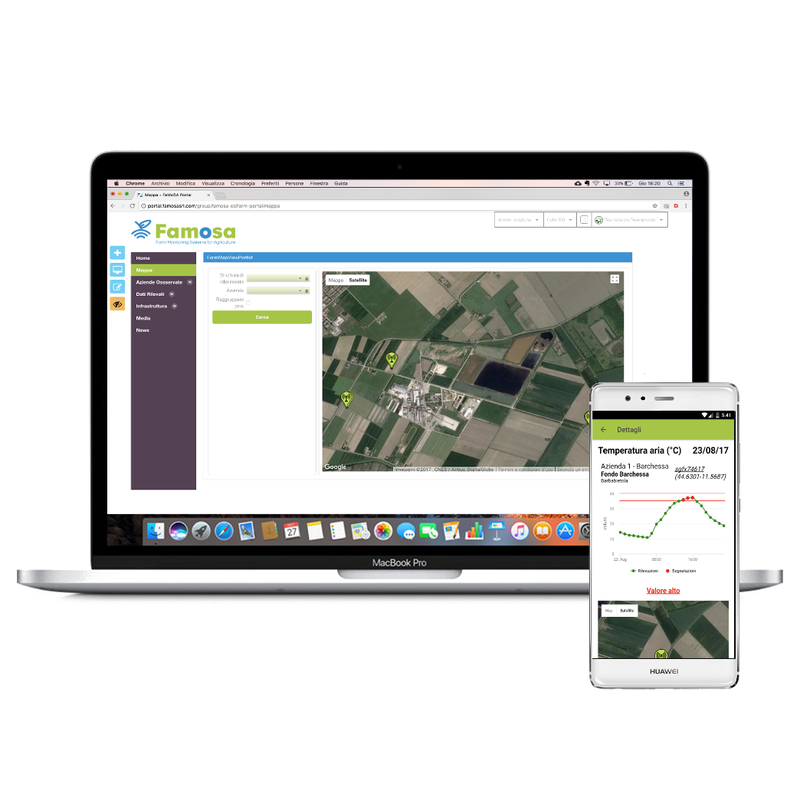 Automatic monitoring of irrigation systems, control of the quantity of water supplied and activation of systems, even in mobility. Definition of specific thresholds and alarms activation. Automatic detection of input parameters for specific agronomic models (probably for pathogens, parasites, etc.). Automatic elaboration of indexes, definition and control of thresholds with specified alarms. Data analysis from aerial multispectral images, both from satellite and drones to product specific indexes: Vegetation Index (NVDI), water stagnation, etc.